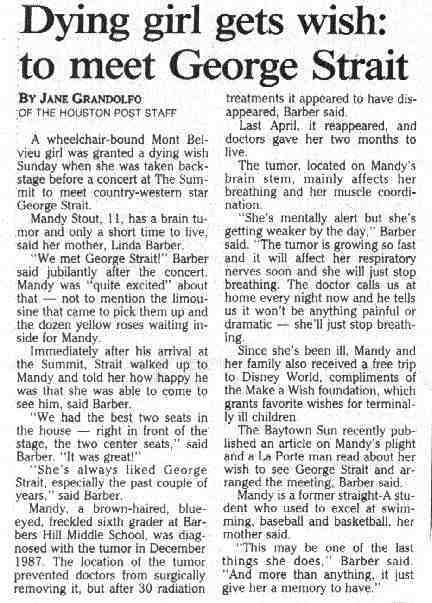 Over the years I have collect a few and been given most of these articles that I have either retyped of scanned to post them. Most of these are old and from the early years. 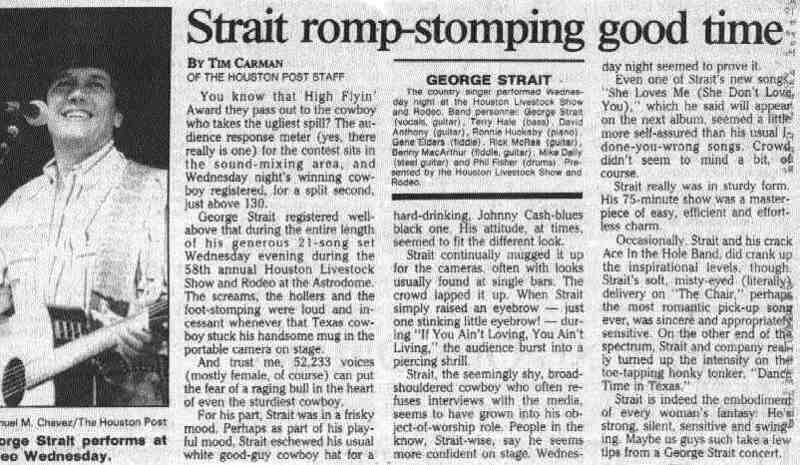 I would be very interested if anyone has any real copy of old published story of George Strait and Ace in the Hole in the early years. Feel free to email me and let me know if you have anything that you would like to share. 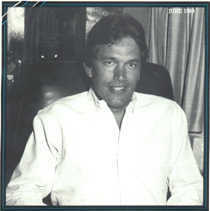 Email is dwd@soyoulikegeorgestrait.com. This page will consist of many newspaper and magazine articles that I have collected from friends an relatives. They date from 1978 to 1994. 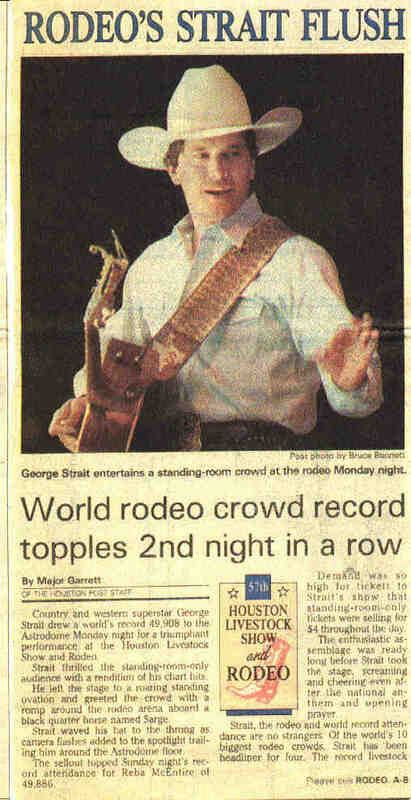 Some are concert reviews, some are interviews with George and band members. I have gathered together many magazine, newspaper and word of mouth stories I have ran across over the years. Some I have typed out and others I have scanned in. 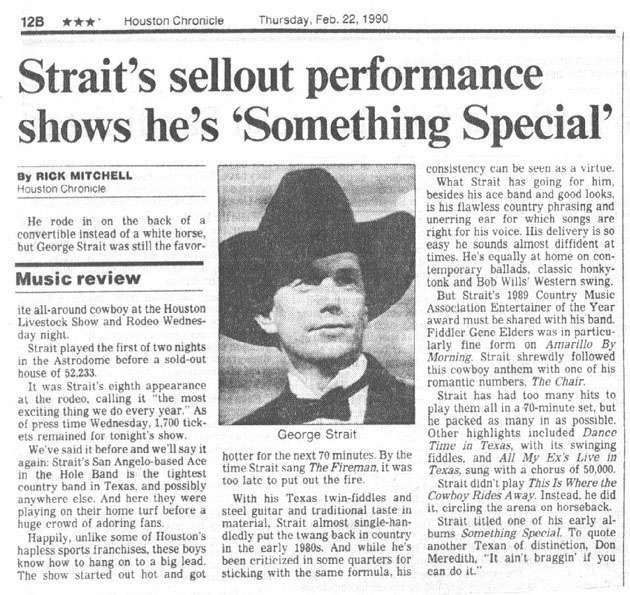 If you have any old George Strait or "Ace in the Hole" articles that you would like me to post, let me know and I will do so.